Word of mouth is a powerful marketing tool. Online reviews and references from your friends go a long way towards building your business some social clout. That’s why Benchmark has added a way to get your email content beyond your subscribers to their social followers. Invite subscribers to Like your email content on Facebook with this new feature in the Email Designer. You can add the Facebook Like button to any content block within the drag-and-drop editor. Many of our Benchmark Email customers asked about SMS. 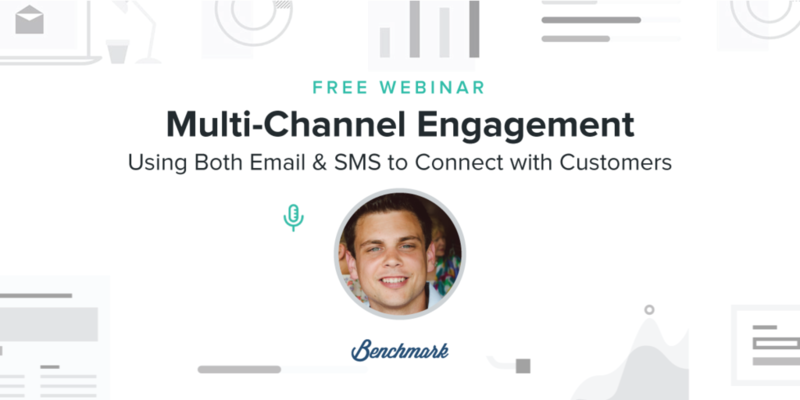 That’s why we're demonstrating the benefits of multi-channel engagement with a very special webinar. It will be held on Thursday, May 12 from 11:00 AM - 12:00 PM PDT.